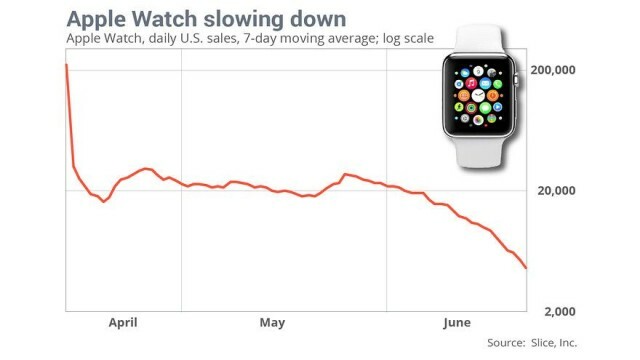 VIA: The Apple Watch went on sale just over two months ago, but it appears that consumer interest in Apple’s wearable has taken a huge dive since launch week. Apple kicked off launch week in April selling an average of 200,000 watches a day, however a new report from Slice Intelligence claims sales have dropped to fewer than 20,000 a day in the U.S., marking a 90% drop off since the week of April 10th. Slice Intelligence says two-thirds of the watches sold have been Sport models, rather than the pricier Apple Watch and Apple Watch Edition models that rake in more profits. 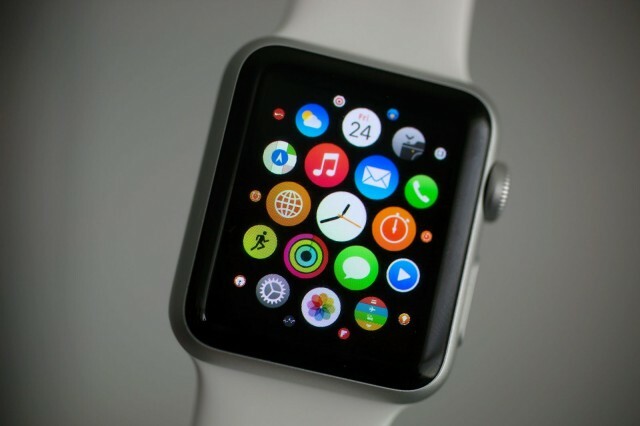 Only 2,000 Apple Watch Editions have been sold in the U.S. based on Slice’s research. Apple hasn’t released any official sales numbers for the Apple Watch, however in an interview at the end of May, Apple VP Jeff Williams told Recode sales have been fantastic. Despite Apple’s enthusiasm for the new watch and new software announced at WWDC, AAPL shares are trading at their lowest point in two months today.